What is a HIPAA Camera? Patient photos can play an important role in care. They are used in a variety of healthcare settings, but the process is not always compliant. When taking photos of patients to be used as part of their EMR (electronic medical record), a HIPAA camera must always be used. Unfortunately, the process by which images are taken, stored, or shared isn’t always compliant. But there are ways to stay compliant while also offering convenience. 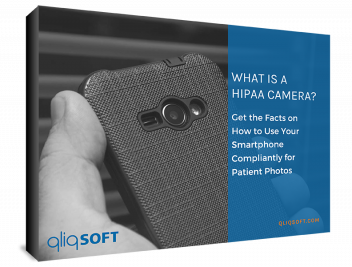 Smartphones can be HIPAA cameras if they take photos through an application that meets compliance requirements, meaning no data is stored directly on that device.